Sydney Ball, Kayla Runser, Jillian Schmidt, Ayla Mroczkowski, Wendy Vargo and Hannah Osburn look out over the city of Athens. Prior to this trip, we all thought the Ancient Greek culture was primitive, but after our experiences there, we all agree that we were completely wrong. The Ancient Greeks were more advanced than we had believed, and we discovered they were on to something before the downfall of their civilization due to the conquests of the Roman Empire. Although we did not specifically learn about philosophy and mathematics, we listened to a lecture by the Dean of Webster University-Athens’s English department regarding the foundation of modern medicine established in Ancient Greece. We learned Asclepius was the son of Apollo and he was the first physician people sought out to interpret dreams which they believed revealed their illness symptoms. Asclepius had a shrine and many people would sleep next to it, hoping to have a dream about their illness. If they did have a dream, Asclepius would tell them what to do. This relates to how individuals should rely on their inner-self to help fix their problems. This Hellenistic care connects with the modern holistic care movement. The Greeks relied on the help of their inner-self to help fix their ailments, and continue to do so today. Many of the gods and goddesses in Greek mythology have tales that relate directly to mankind and why people do what we do today. Because of the sacredness of the gods and goddesses, temples and structures were built in their honor. These structures were constructed of marble, which still stand today. Nothing we build in the present day will ever last like the Parthenon on the Acropolis. 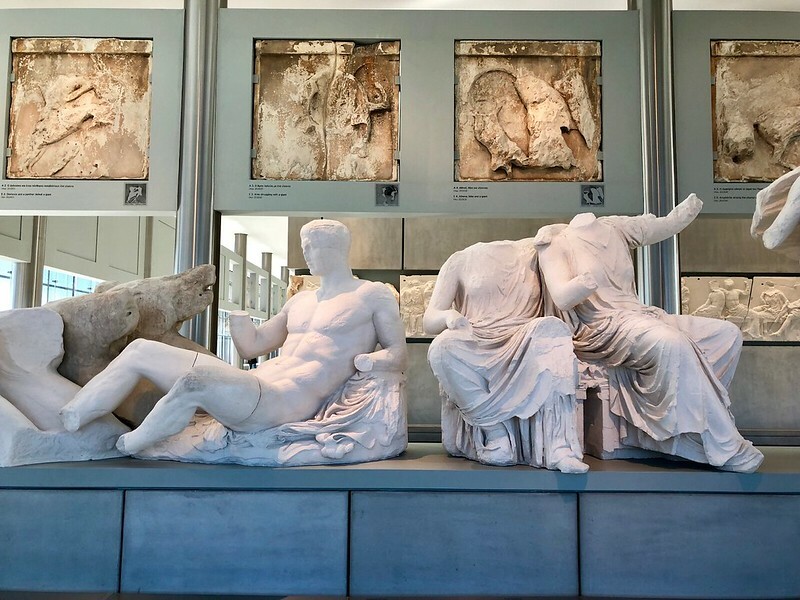 The history of Ancient Greece and their modern society can be traced from the present day to the roots of our civilization, exemplifying the continuous pattern that human culture follows and utilizes to build their civilization.